Good stories come from where you least expect them. 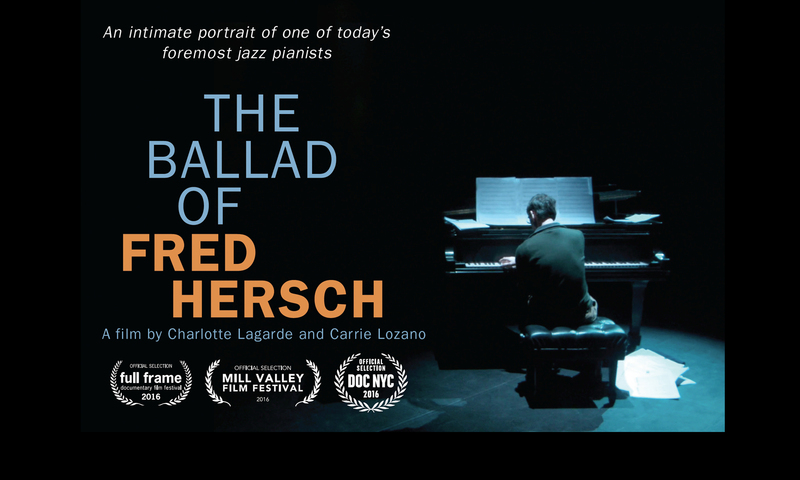 We were introduced to Fred Hersch after Carrie’s husband Don Loeb befriended the renowned pianist on a plane. At the time, Fred’s story as a coma and AIDS survivor was well known, but when we learned that he was producing a musical performance about his near-death experience, we had to meet him. Fred immediately opened up to us when we visited his NYC studio in November of 2010. He was honest, articulate, and direct. He told us about the production of “My Coma Dreams,” which was set to begin rehearsals in January, and we envisioned telling his personal story through the making of the theatrical production. We (us and Fred) immediately jumped in, adding a layer of complexity to an already Herculean endeavor. That’s Fred. We filmed Fred regularly during the 6 months leading up to the premiere. But along the way, we realized that his story was much deeper than “My Coma Dreams.” At every turn, we were touched and awed by his music and range. And as we observed Fred on and off camera; interviewed his friends, family, and peers; and learned more about his musical trajectory, we realized that the film had to be first and foremost about his music. While it took a long time to filter out the noise that increasingly pushes filmmakers to structure their films around high-octane drama, we were determined to make the film that we wanted to make. And we wanted the world to see Fred as we see him: an artist of the highest caliber who is daunting, yet approachable and strong, yet vulnerable and loving, and who is hands-down the best at what he does. Sharing one’s music is a simple, yet powerful gesture in a complex world, and we strove to allow the music to speak for itself and to speak to you. Our greatest hope is that you sit back, relax, and have an unexpectedly good time.